3D printing has so much potential to completely overhaul not only the way in which things are fabricated, but other aspects of everyday life as well. This includes the potential to enable the creation of previously unobtainable technology in regions of the world that struggle with poverty. It also has the potential to completely change the way our economic system works. While we are far from the day when everyone in this world can survive simply off of self-sufficiency, it may not be quite as far fetched as some believe. Thanks to a company called 3Dponics, there are already ways in which we can all become a little bit more self-sufficient. 3Dponics is an open source 3D printable hydroponics system. I had the opportunity to listen to the founders present their product at the recent Inside 3D Printing Conference last month. Launched back in June, the company offers free 3D printable files, which when combined with about $20 in other supplies, can create a fully self-sufficient hydroponics system that can grow almost anything. Using empty 1-2 liter plastic bottles, an affordable aquarium air pump, some tubing, and zip ties, anyone, anywhere can create this incredible system. 3Dponics seems to be targeting schools and other educational institutions with their idea, planning to offer curricula, guides and other useful material for them to use within a classroom environment. Not only will students be able to learn a little about agriculture, hydroponics and engineering, they will also have the chance to utilize 3D printers to create something very useful. Many times schools have 3D printers, but teachers have no idea what to use them for. This is a great example of one of the tremendous educational benefits that can be seen through the use of this technology. On top of the educational aspects of the system, it also provides users with the ability to grow their own food, which in turn allows for a more healthy diet and lifestyle, while also doing some good for the environment. Since the launch of their Kickstarter campaign in July, the team behind 3Dponics has been building an online community where urban farmers can meet, help each out, and share photos/ideas. Today we learn that they have teamed with 3DPrinterOS to bring their hydroponics system to the masses. We first covered 3DPrinterOS back in June when they announced plans to launch a cloud 3D printer operating system. As part of this collaboration, 3DPrinterOS will include the 3Dponics’ open source hydroponics system as part of their upcoming launch. This will include all of the digital files and instructions required to build the system. “We’re huge fans of the 3Dponics project and we wanted to give users access to files right away that can be printed to make a difference in their homes and across the world,” said John Dogru, CEO of 3DPrinterOS. 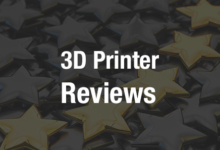 3DPrinterOS continues to add supported 3D printers to their system, and users will now be able to queue up and print the entire 3Dponics system on multiple 3D printers at once, in a single process. This along with other 3D printable projects could make 3DPrinterOS quite the valuable resource. The fact that this cloud OS allows for users to not only share designs, but share their 3D printers with friends and colleagues as well, means that they can assist others in creating their own 3Dponics systems. Without a doubt, both 3Dponics and 3DPrinterOS are on to some incredible, new ideas within the 3D printing space. It is yet to be determined if they will accomplish all of their goals, but by working together on this project, it brings them one step closer. What do you think about this partnership between these two startups? Do you like the idea of being able to use a cloud 3D printing operating system to create projects such as the 3Dponics system? Discuss in the 3DPrinterOS / 3Dponics forum thread on 3DPB.com.